Tuition is $400 for regular attendees and $200 for full-time students of an accredited undergraduate or graduate program. Tuition includes breakfast Tuesday-Friday, a Welcome Reception Dinner Tuesday night and lunch on Thursday. The Resort and Conference Center at Hyannis is located on 52 beautifully landscaped acres in historic Hyannis, Cape Cod, MA. Hyannis is located about equal distance between T. F. Green Airport in Providence, RI and Logan Airport in Boston, MA. Transportation is unfortunately expensive from either airport; renting a car is often as cost-effective as taking a shuttle. If you need assistance with transportation from the airport, let us know by emailing conference@macrimeanalysts.org, and we can try to put you in touch with someone arriving on the same day. Upon arrival and check in at the hotel, an informational sheet will be available for the activities, meals and registration information. This year we are fortunate to have ESRI sponsoring our hands on computer lab! In years past, the computer lab was a bring your own device format, which led to frustration when attendees had multiple versions of software and other technical issues. This year, the lab will be stocked with computers from ESRI so each attendee will be working from the same operating system and software. Registrants who cancel prior to April 30, 2019 will receive a full refund. Registrants who cancel on or after May 1, 2019 will receive a refund less $200.00 for food and administrative costs. Student registrants or other discounted rate attendees who cancel after May 1, 2019 will not receive a refund due to the lower registration fee and the administrative costs MACA has incurred. If you fail to notify MACA of your cancellation and do not attend the conference, you will not receive a refund. If you must cancel your registration, please notify conference coordinator Carol Fitzgerald at carol.fitzgerald@state.ma.us. Please note it is the sole responsibility of the registrant to cancel both the MACA registration, as well as, the hotel reservation. 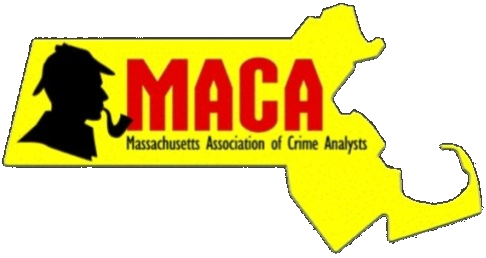 MACA assumes no responsibility for hotel charges applied to those who cancel their conference registration or fail to attend the conference.